The tress are believed to have been planted around 1930. It is also believed that the bending was caused by some form of human intervention, most likely by some tool or machine. But nobody actually knows for sure how it was done and what the motive behind it was. 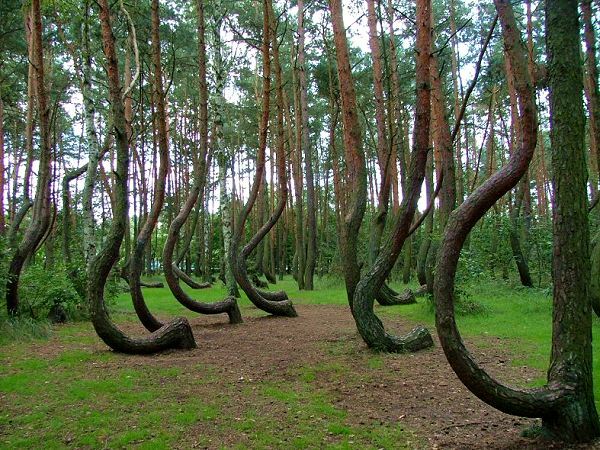 Location: Outside Nowe Czarnowo, West Pomerania, Poland. for some time, and provide you with a feeling of harmony, clear conscience, and comfort. a procedure in which individuals started to know each other.